Beston garbage sorting machine has made a great contribution to the treatment of garbage solid waste. The sorting system has integrated the technology and services into a whole, and it has adopted the most advanced design concept, top technology, perfect supporting and stable characteristics. Meanwhile, our garbage sorting systems also have possessed the top-class waste sorting lines and waste compressor, which can also help the waste transfer station realize higher working efficiency, which includes waste collecting, separating, compressing and transferring. 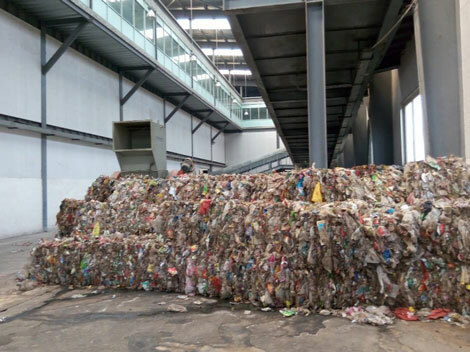 By this method, Beston garbage separation system can bring more economic, environmental and social benefits to waste transfer station, and also can respond the national concept of recycling economy and sustainable development. Firstly, we usually use the crane to pour the various garbage into the plate conveyor to scatter the waste, and then through garbage separator which is mainly used to separate the big waste by manual power. In this step, we can generally get many large size waste materials such as the big appliances and furniture which can be usually recycled directly or cracked by the supporting shredding equipment. Next is the bag-breaking machine which is used to crush the plastics and then pack them directly or have a deep process; the cylinder round sifter can separate the metal through the magnetic separator and the organic material to make into fertilizers. In addition, the left waste will be processed by the comprehensive garbage treatment plant to get combustible material which can be used to generated electric. 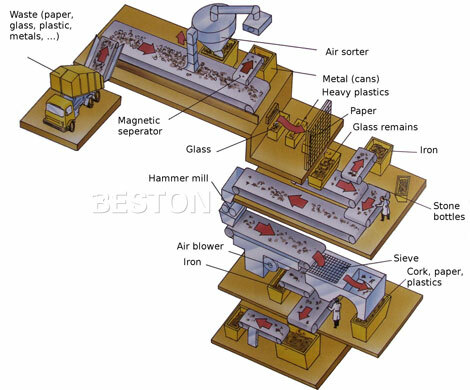 In short, through the garbage sorter, the the waste materials can be divided into plastic, metal, organic, papers and etc, and all of these can be recycled to produce the related products. Firstly, the plastics have two ways to deal with. 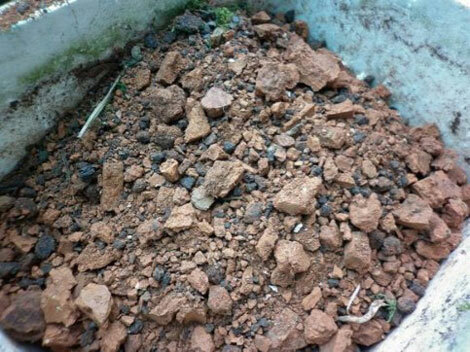 We can sell them directly or deep process them into fuel oil and carbon black through Beston waste plastic pyrolysis plant, which can create bigger value and economic benefits. Moreover, we can also make plastic granules by the newest-designed waste plastic recycling machine. 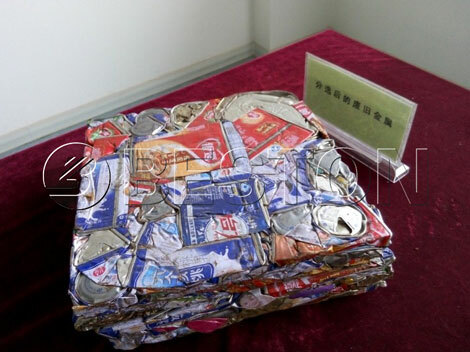 Secondly, after sorted by garbage recycling equipment, the metal can be recycled by steel industries to produce some related products. 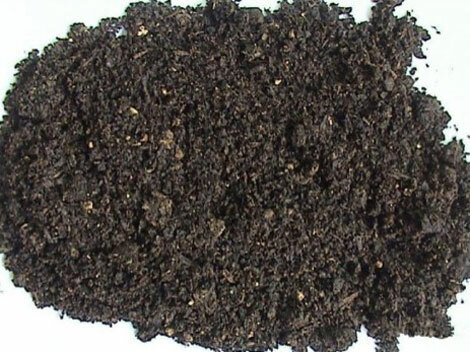 As for the others, for example, the organic material can be processed into natural fertilizer to improve the quality of soil, and there are also some residual solid material which can be recycled by brick making industries to produce the construction bricks. At the first, our garbage recycling plant generally possesses the handing capacities of 100 ton to 400 ton, so you should offer your handing capacity for us if you are interested in our recycling garbage machine. Then Beston garbage segregation machine can work continuously for 24 hours without a stop, which has a high operation efficiency. Besides, each part of the garbage sorting system is made of first-class manufacturing materials that can ensure the quality of the whole garbage waste sorting equipment and extend the service life. As for the garbage recycling plant cost, we guarantee that we will provide the most reasonable price and perfect after-sales service which can help you save more cost to create more benefits.